Saturday was a big day for promotion-chasing Leeds United. 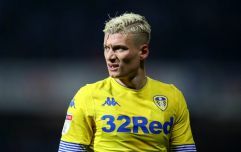 A win at home to Sheffield Wednesday, coupled with Sheffield United dropping points in the dying seconds of injury time at home to Millwall, saw Marcelo Bielsa's men move back into the Championship's second automatic promotion spot. A Premier League return, after an absence of 15 years, is in sight. 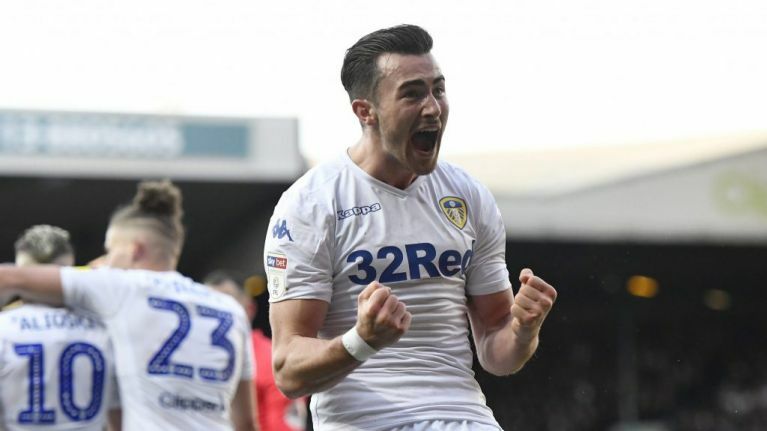 Understandably, Jack Harrison's 65th-minute winner - the only goal of the game - was greeted with a mixture of euphoria and relief from the Elland Road stands. And, as one heartwarming video shows, a guide dog up in the top tier of the East Stand was also pretty excited about it. Footage uploaded to Twitter by @Sean__Clare, who described it as 'the best thing I've seen all match', captures the assistance dog barking and wagging its tail as it stands next to its owner in the seconds after Harrison's winner. The tweet has been widely shared in the time since it was posted, already clocking up over 1,000 retweets. Norwich City are still three points ahead of Leeds at the top of the Championship and, with a game in hand, appear set to be confirmed as champions. Leeds now have four games to play to clinch a place in next season's Premier League, starting with next Friday's game at home to Wigan Athletic. They travel to Brentford on Monday before their final scheduled home game of the season against Aston Villa on April 28. Assuming they don't have to play in the play-offs, their last game of the season will be away at Ipswich Town on May 5.